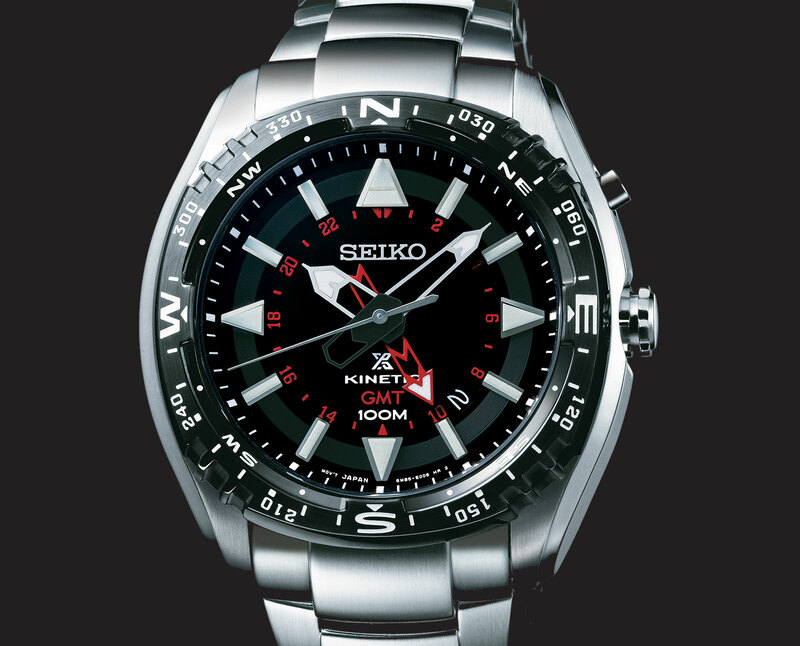 At Baselworld 2015, Seiko unveils the Prospex Kinetic GMT as part of its “Land” series of explorer’s watches, equipping it with a hybrid electro-mechanical movement and second time zone function. 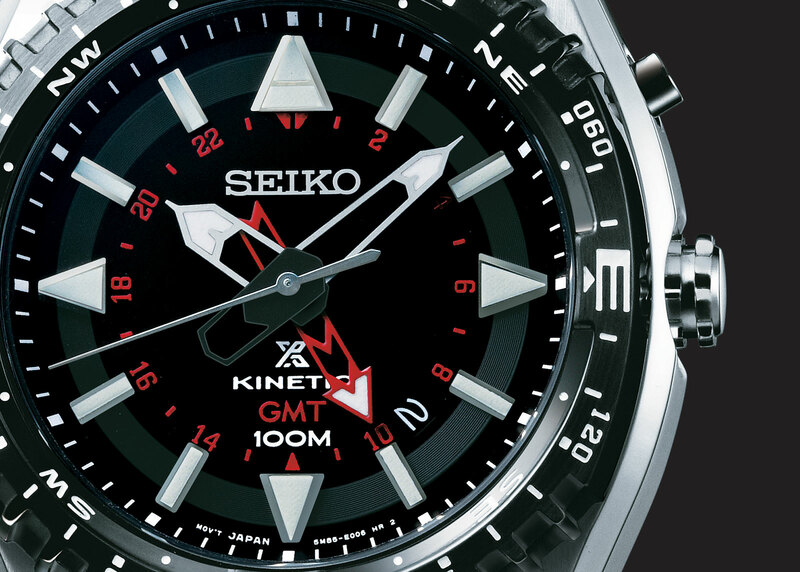 Last year Seiko introduced the Prospex Kinetic GMT “Tuna” Diver, an affordable dual time zone diver’s watch. The same movement is used in the newly unveiled Prospex Kinetic GMT intended for mountaineers and explorers, modelled on the top of the line Prospex Landmaster watches Seiko sells only in Japan. The steel case is 45.6 mm in diameter and fitted with a rotating compass bezel, and a 100 m water resistance rating. Pressing the button at two o’clock shows the power reserve of the movement through the sweep of the second hand. The crystal is Hardlex, Seiko’s proprietary, hardened mineral crystal that is more scratch-resistant than ordinary mineral glass. The movement inside is the calibre 5M85 that is wound via an oscillating weight just like a mechanical watch. But instead of winding a spring, the rotor generates electricity that is stored in a capacitor that powers the watch. The movement has a power reserve of six months, and keeps time to +/- 15 seconds a month, a tenth of the variance of a traditional mechanical watch. Four models in a variety of finishes are available, including one with a green dial that Seiko has used on its other explorer’s watch, the Alpinist. Prices start from €410.